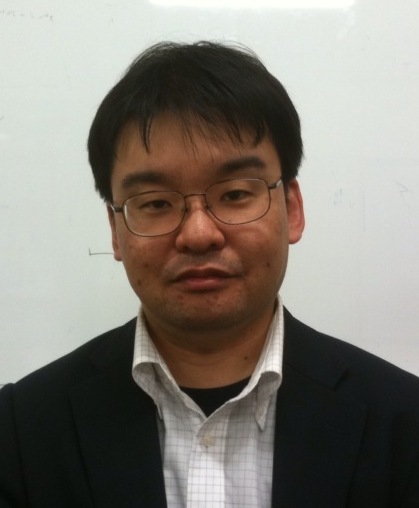 Associate Professor Yoshizumi Miyoshi at Solar-Terrestrial Environment Laboratory, Nagoya University, and his coworkers discovered a mechanism for the increase of radiation-belt electrons associated with solar wind. Their paper was published in Geophysical Research Letterson September 25, 2013. Radiation belts surrounding the Earth consist of high-energy electrons and protons. Space stations and satellites such as GPS satellites are located in the radiation belts and are significantly influenced by variations in electrons: for example, satellite broadcasts are interrupted and GPS services are disordered as a result of an increase in the number of electrons. Therefore, forecasting the electron flux is needed to maintain various services that use satellites and to protect astronauts working in radiation belts from exposure to radiation. 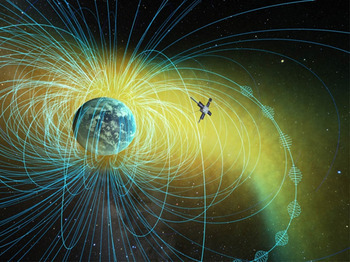 However, the relationship between solar wind and the radiation belt electrons is complex, and the conditions that trigger the variations in energetic electrons have not been determined previously. Prof. Miyoshi used 14-year data from the Akebono satellite, launched in 1989, as well as data from other satellites, and statistically analyzed the relationship between solar wind and energetic electrons in the radiation belts. The analysis results elucidated that electrons increase considerably when the southward interplanetary magnetic field was embedded in a high-speed solar wind. When these conditions are satisfied, plasma waves (i.e. Chorus) areactivated, causing an increase in the number of electrons in radiation belts. The research outcome will allow for more accurate space weather forecast and the formulation of an effective strategy to prevent obstructions caused by electron increase. The research was realized because data could be obtained from the Akebono satellite and was thus possible only in Japan. In FY2015, a state-of-the-art Energization and Radiation in Geospace (ERG) satellite will be launched by the Epsilon launch vehicle. It is anticipated that the detailed mechanism that Chorus triggers the increase in the energy of electrons will be explained by data from the satellite. Various plasma phenomena are observed in geospace, which set off auroras and fluctuations in high-energy particles in radiation belts. Prof. Miyoshi chose this field to discover unknown phenomena in space and understand dynamic changes in plasma by examining data from satellites. "High-energy particles exist in space, but the elementary process of generating the particles has yet to be explained. I look forward to identify the process by analyzing data from the ERG satellite--to be launched in FY2015--and to tell everyone about our discovery." "This may be cliche, but I believe it is essential to ponder things from various angles when in doubt. Clues often lurk in unexpected places, and having a broad vision can help in conducting research."